Bay Views Hotel is a 20-storey, five-star hotel situated on the canal embankment of Business Bay. 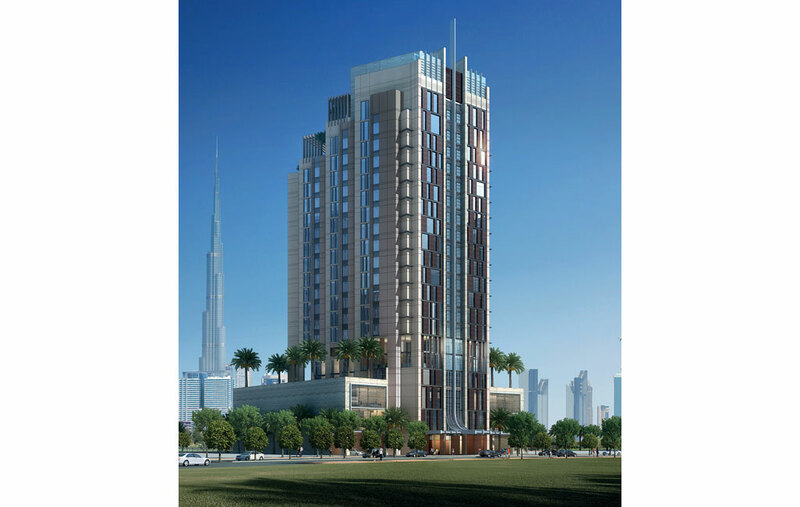 Designed in contemporary style, its plan form affords every room a view of the waterways and Burj Khalifa. The hotel consists of 233 standard guestrooms and 18 suites, in addition to four food and beverage outlets occupying the podium above two levels of basement car parking. Diar Consult was responsible for all architectural and interior design as well as post-contract supervision in all disciplines. The design and planning of the hotel was a complex process due to a contradictory set of design guidelines that had been issued to developers of plots in Business Bay. The guidelines stipulated that an arcade should be provided on the street and waterfront, connecting each plot in a continuous pedestrian route, with the intention of creating a promenade along the waterfront. However, it also placed restrictions on what functions could be located at ground level and within the podium. This would have resulted in a lifeless, uninviting and disconnected ‘promenade’ when coupled with the statutory elements required to be at ground level – including, among others, transformer rooms and waste collection rooms – and the space required for vehicular access. By challenging the guidelines and acquiring special dispensations and approvals from the master developers, Diar Consult was able to locate parking in the basement and dedicate the ground level and podium to food and beverage outlets, a banquet hall, business centre and health club etc., thereby ensuring transparency and connectivity to the hotel and enlivening the promenade both visually and physically.